In 2016 LeGarrette Blount exploded onto the fantasy scene, rushing for 1,161 yards and 18 touchdowns with the New England Patriots. This performance allowed Blount to finish as the running back seven in standard leagues and running back nine in PPR. 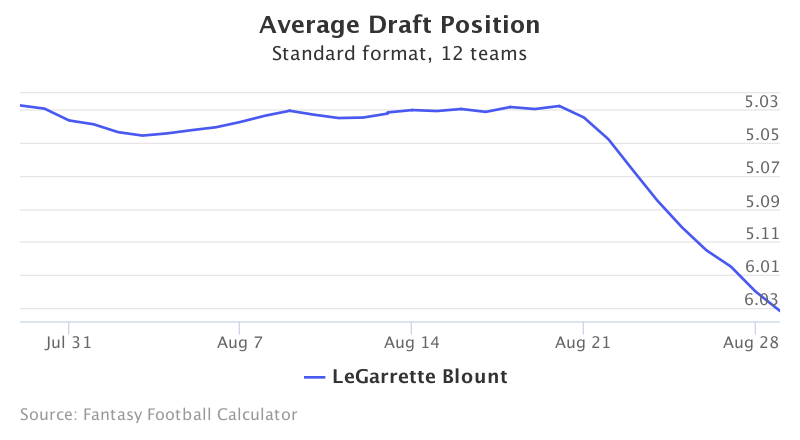 Blount’s fantasy football ADP has fluctuated across the fifth round over the past month, with a sharp drop in the last week. Data comes from 12-team standard mock drafts. Blount is currently the 27th running back off the board at pick 5.09. However, he remains risky within this range, after signing with the Philadelphia Eagles this offseason. Can Blount Repeat his 2016 Season? While Blount was clearly productive last year in the Patriots’ offense, a few questions surround him as a football player. To begin, Blount has only eclipses 1,000 yards rushing in two of his seven NFL seasons, despite playing at least 12 games each year of his career. Additionally, Blount plays a limited role in the NFL on early downs. Even in his 1,000-yard season in 2016, Blount only played on 51% of snaps. Throughout his career he has never received more than 25 targets in a single season. While an early down role is relevant, Blount’s fantasy value will depend on touchdowns without any work in the passing game. 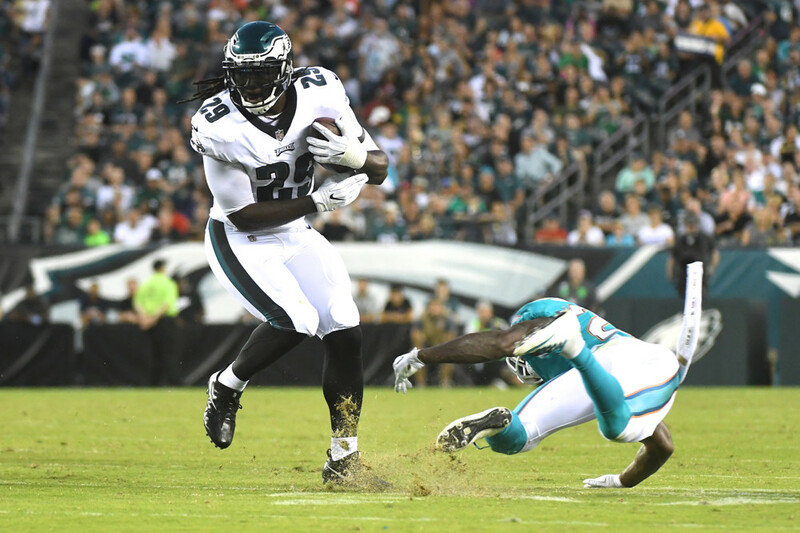 While an 18-touchdown season is unlikely, Philadelphia will likely use Blount as their short yardage back. Philadelphia ranked within the top ten in rushing touchdowns in 2016. With one of the league’s better offensive lines, Blount has double-digit touchdowns within his range of outcomes. Currently, Blount comes at an expensive cost, going at pick 5.09. He is drafted just behind Ameer Abdullah and Mark Ingram at the position. With major question marks on his profile and a limited role in the offense, Blount’s upside is capped in the Eagles offense. Approach Blount with caution at his current draft position this season.